Small Business Trends Media Group, the parent publishing group of SmallBizTrends.com and BizSugar.com, is honored to be the subject of a case study by its technology partner, Ezoic. 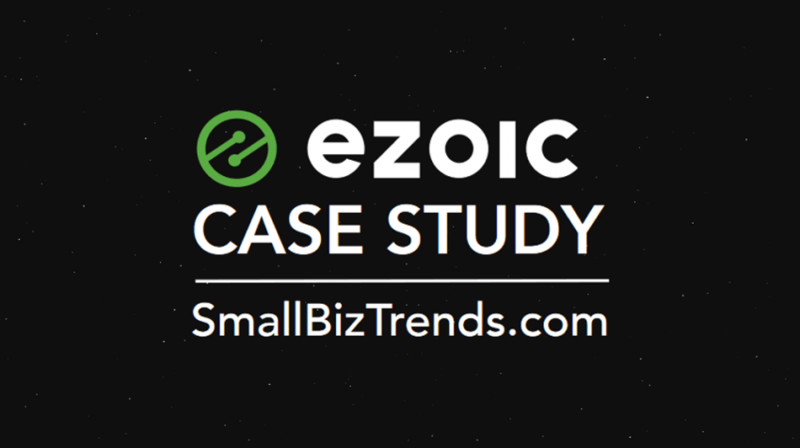 The case study highlights Small Business Trends’ use of Ezoic’s artificial intelligence and machine learning platform. The platform dynamically optimizes user experience and ad revenues for publisher websites. 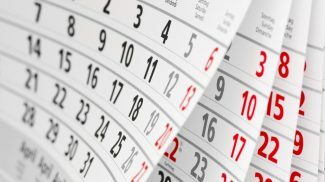 Ezoic solved real challenges facing Small Business Trends. Facing changing ad policies as well as the shift to programmatic advertising instead of direct ad sales, it became harder to scale ad revenues. “We knew we had to change. We even considered dramatically altering our business model by eliminating ads altogether,” said Leland McFarland, CTO of Small Business Trends. With a site the size of Small Business Trends, it had become impossible to do testing manually. “We used to keep a tedious log by hand to track site changes, ad combinations, revenues, and results of A/B testing. It was a nightmare,” McFarland added. Then McFarland, along with Small Business Trends founder and CEO Anita Campbell, attended a Pubtelligence conference put on by Ezoic. “After that we decided to go all in with Ezoic. And it paid off in improved results. Those results are outlined in the case study,” he added. Ezoic helps with revenues, but does so much more. As an artificial intelligence platform which includes its proprietary Big Data Analytics reporting, Ezoic delivers invaluable insights about user experience. For example, it identifies which articles are most engaging. The site is then able to build on past successes and deliver improved content for readers to enjoy. “This is the first time we have been the subject of a case study. Ezoic has been a fabulous technology partner and we’re thrilled to work with them. This case study comes on the heels of our 15-year anniversary as a website and company. It validates all the hard work put in by the team,” said Campbell. Small Business Trends Media Group provides targeted, custom content reaching small businesses. Through its multiple digital media outlets, it features advice, news and resources for small businesses of up to 100 employees. The company also publishes a digital magazine and special publications such as ebooks, templates and tools like the Headline Generator. 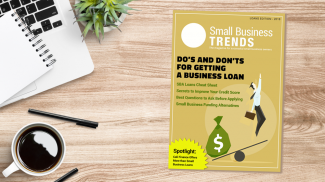 Through all of its channels, the Small Business Trends Media Group reaches a highly targeted audience of over 2,000,000 small business owners, stakeholders and entrepreneurs each month. The company has been publishing continuously since 2003 and is one of the largest independently-owned news sites dedicated to small business. I think that SmallBizTrends is the perfect subject for the cae study. It will show how Ezoic is really useful even for content-driven businesses.